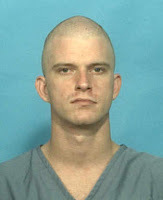 Allen allegedly abandoned his 11-day old son October 13, 2008 in a garbage bag in the woods of east Orange County after an argument with the baby's mother. He pled in February to Neglect of Child & Possession of Cannabis and was sentenced to 114 days in jail with credit for 114 days time served and ordered to complete 4 years of supervised probation, a parenting class, to follow the DCF case plan and seek/maintain employment. Less than 6 months later, an arrest warrant for violation of probation was issued. 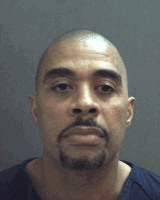 He pled in September to violating probation and was sentenced to 1 year and 1 day in the Department of Corrections. The DOC website shows his anticipated release date to be 3/17/10. Defendant is a Special Agent with US Immigration & Customs Enforcement who allegedly assaulted an ex-girlfriend at her apartment. The State was unable to contact the victim who had no injury (defendant allegedly grabbed her arm). No Information Notice filed (case was dropped 12/1). 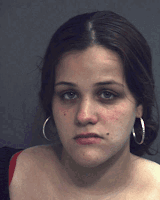 Defendant admitted to biting her 21-month old daughter numerous times. The child subsequently died. Charges were dropped this week due to insufficient evidence, causing the State to determine the case could not be proven beyond a reasonable doubt. For more info as reported in the Sentinel, click here.